Korean Spicy Pork Cheesesteak, anyone? Using more Korean spin than Hyung-taik Lee (! 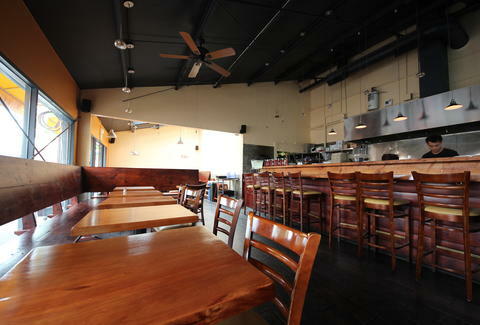 ), Kitchen Mojo is a Potrero Hill lunch spot set in the old Pizza Nostra spot and done in collaboration with the dude behind HRD Coffee Shop, who's Korean-ing a handful of your favorite mid-day eats, from cheesesteaks to po' boys. 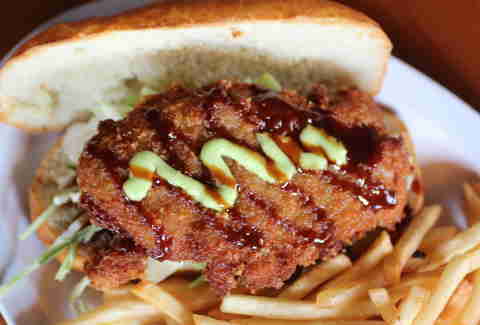 The Crispy Chicken Katsu This scratch panko-crusted fried chicken handheld features wasabi aioli and homemade tonkatsu sauce that -- like Emma Bunton -- is both sweet and spicy. 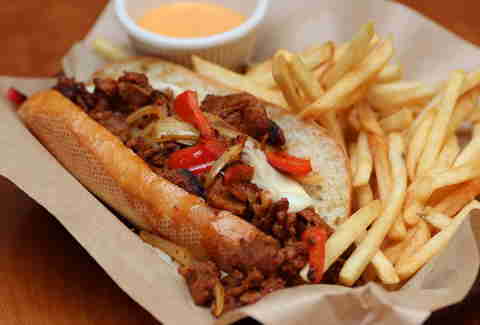 The Korean Spicy Pork Cheesesteak Though your friend from Philly might be all, "Ugh! ", give him a bite of this way-less-traditional spicy pork c-steak (w/ peppers, onions & spicy Korean aioli) and he'll start being all, "Mmm!" 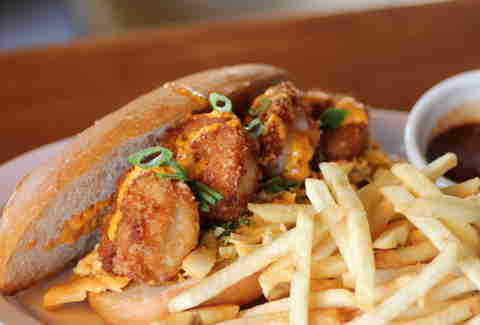 The Popcorn Shrimp Kimchee Po' Boy Served with a side of housemade chili sauce (and fries, duh) this sandwich combines spicy kimchee coleslaw, Korean aioli, and four delicious-looking shrimp they'll happily serve (and volley!) you fried.